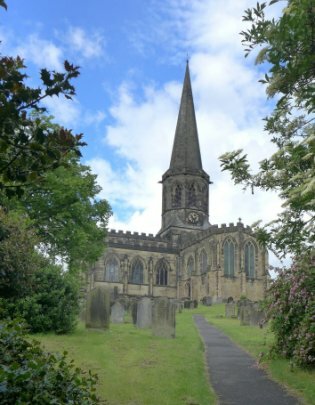 A week in Derbyshire: three great houses to visit - Haddon Hall, Hardwick Hall, and Chatsworth House - and three interesting churches. 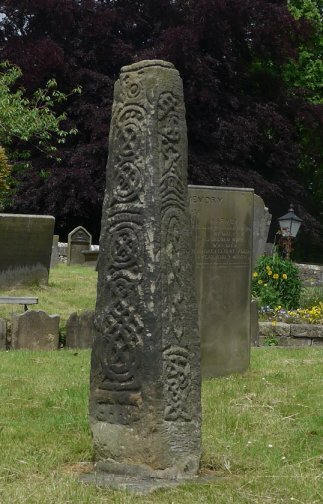 Bakewell is probably best known for its tasty baking, and we certainly sampled that. But the church is not to be missed. 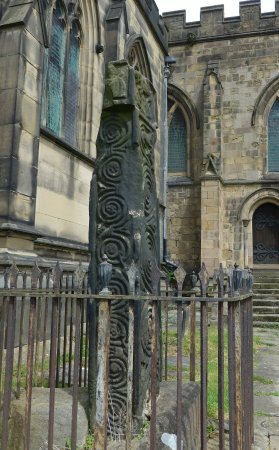 It is of Saxon origin, founded around 980. 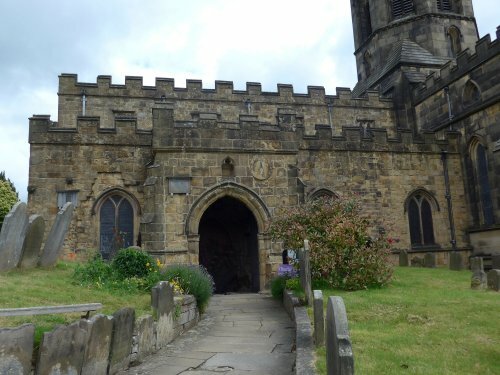 The present church was started in 1280, and has been much altered since. 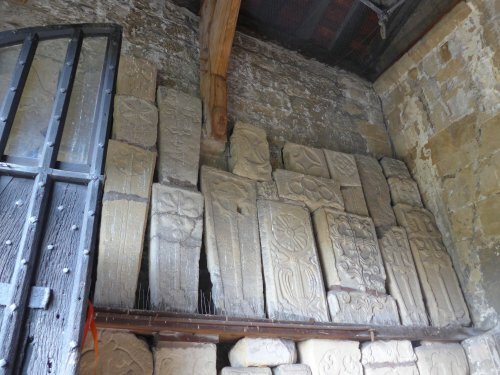 Outside the church are two splendid Saxon crosses, and in the porch is a wonderful collection of Saxon carvings, found during nineteenth century restoration. 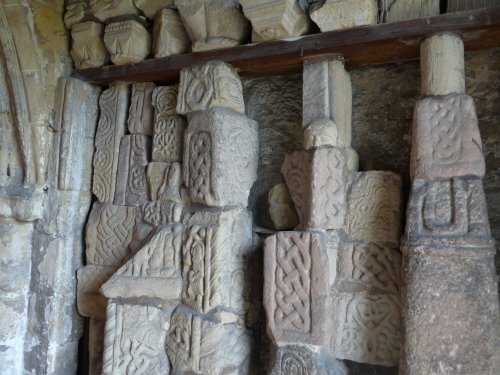 The interior of the church contains a number of monuments worthy of a place in a cathedral. 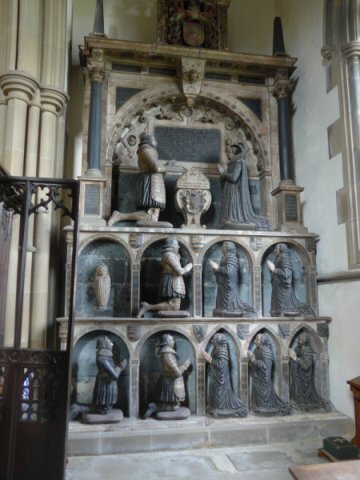 Many of them commemorate the Vernon family of Haddon Hall. 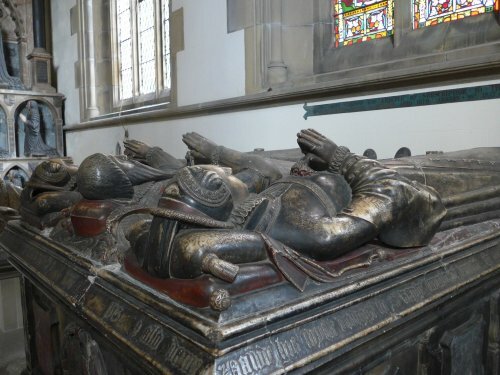 Sir George Vernon and his two wives. 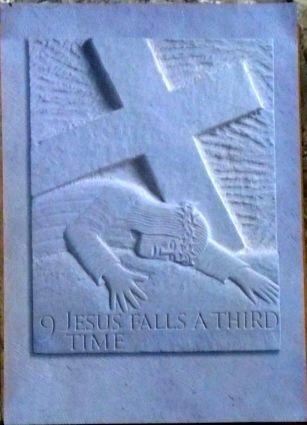 Unusually for me, it was a modern work of sculpture that caught my eye; a series of carvings of the Stations of the Cross, most unusual for an Anglican church. They are clearly influenced by Eric Gill, but there was no clue as the the sculptor. An email to the very helpful rector solved the problem: Peter Foster. 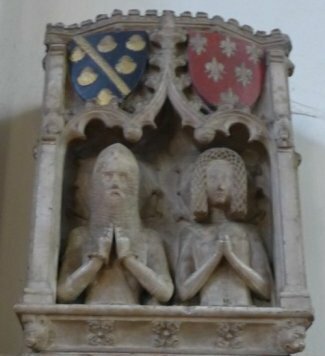 Monument to Godfrey and Avena de Foljambe, 1376. Godfrey was Lord Chief Justice of Ireland. Next page: two more churches. March 2015: Cologne and Aachen. October 2014: The Sistine Chapel - in Worthing! April 2014: The World's best portraits? April 2014: Umbria - is it really Giotto?